The Island of Ko Lipe is like a dream and not to be compared to any other Thai island which pretty much are a mix between beach activities, partying and foot massages which obviously is all great but Ko Lipe is something else! 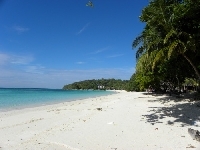 I could describe this island as the perfect honeymoon getaway with the island being surrounded by other small idyllic islands where tourists are not as common as on for example Phi Phi or at the beaches of Pa Tong or Phuket. The locals are very friendly and the restaurants are owned by fishermen who prepare the freshest fish on the grill while you're dining right on the beach. You can easily rent a longtail boat for a day and explore all the islands without encountering anyone, we had such an incredibile and special time on this island that I would love to return to Ko Lipe to relive all these beautiful memories. There are shops on the island but everything has to be imported from the other islands or the mainland so remember that if you need a certain product or food to bring it with you. Peace! 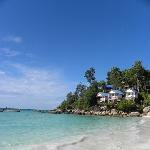 Did you enjoy Ko Lip Heaven on Earth and have you been on a holiday in Ko Lipe, Thailand?